What can these three teach us about temperature? There’s been a lot of buzz lately in the science blogosphere about a recent experiment where physicists created a gas of quantum particles with a negative temperature – negative as in, below absolute zero. This is pretty strange, because absolute zero is supposed to be that temperature at which all atomic motion ceases, where atoms that normally jiggle about freeze in their places, and come to a complete standstill. Presumably, this is as cold as cold can be. Can anything possibly be colder than this? Here’s the short answer. It is possible to create negative temperatures. It was actually first done in 1951. But it’s not what it sounds like – these temperatures aren’t colder than absolute zero. For instance, you can’t keep cooling something down to make its temperature drop below absolute zero. In fact, as I’ll try to explain, objects at a negative temperature actually behave as if they’re HOTTER than objects that are at any positive temperature. To understand this, we first need to know what physicists mean by temperature. You may remember from high school physics or chemistry that temperature measures the average kinetic energy of motion of particles. When you heat a substance, you’re speeding up its molecules, and when you cool it down, you’re slowing the molecules down. This definition really made sense to me when I could see it for myself, so here is a simulation where you can play around with gas molecules. Go switch on the heater, and then turn up or down the heat, and see what happens. So far, so good. But physicists realized that this definition of temperature doesn’t always work, because there are more types of energy than kinetic energy of motion. There are even situations where an object has an energy, but there isn’t really anything moving around in the conventional sense, like the magnetic spins in a magnet, or the ones and zeros on your hard disk. These are essentially quantum systems, where it doesn’t really make sense to talk about stuff moving, but you can still write down how much energy it has. It became clear that physics needed a more fundamental definition of temperature, that would make room for these possibilities. Here’s the new definition that they came up with. Temperature measures the willingness of an object to give up energy. Actually, I lied. This isn’t how they really define temperature, because physicists speak math, not english. They define it as which says, in words, that the temperature is inversely proportional to the slope of the entropy vs. energy curve. Now, if you don’t speak math, I’m going to let you in on a little secret. You don’t need to know any math or physics to understand how temperature works. You can use a surprisingly accurate analogy. I first heard this analogy as an undergraduate, in an excellent thermal physics textbook by Daniel Schroeder. Picture a world where people are constantly exchanging money to attain happiness. This is probably not that hard for you to imagine. But there’s a small twist. The people in this society have agreed that they will work to maximize happiness – not just their own happiness, but the total happiness in the society. This has surprising consequences. For example, there might be some people who get very happy when they earn a little money. We could call them greedy. Other people don’t really care much about money – they become a little happier when they earn some money, and a little sadder when they lose it. These people are generous – if they’re playing by the rules of the game, they ought to give money to greedy people, to raise the overall happiness of society. So why am I inventing this socialist utopia with rampant income redistribution? It’s because this is closely analogous to the physics of heat (as Steven Colbert put it, reality has a well know liberal bias). Here’s the analogy. The socialist commune is what physicists call an isolated system. The people are the objects in this system. The money that they exchange is really energy – a quantity whose total amount is conserved, but that is constantly being exchanged. Happiness is entropy – just as the society wants to maximize happiness, physical systems are driven to maximize their total entropy. And finally, generosity is temperature, the willingness of people (i.e. objects) to give up money (i.e. energy). By looking up this dictionary, everything that we say about our commune is translated into a statement about physics. Now, imagine that our society consists of people like Warren Buffett. Initially, when they’re poor, getting money makes them very happy. But as they get wealthier, the same amount of money doesn’t make them nearly as happy. If you plot the happiness of these Buffett-like people versus their wealth, it would look something like this. In this world, every dollar earns you less happiness than the last one. So to raise the overall happiness, a rich Buffett should give money to a poor Buffett. This is a world where people become more generous as they acquire money. Or a system whose temperature rises as it gains energy. 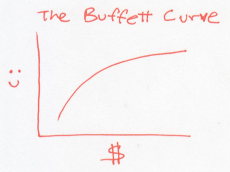 The Buffett curve describes normal particles that we know and love, whose temperatures rise as you heat them. These are the jiggling atoms in solids, liquids, or gases. Now, instead, consider a world of people who are misers, like Uncle Scrooge. Every dollar they earn makes them more happy than the previous dollar did. Unlike the Buffetts, if a rich Scrooge gives a dollar to a poor Scrooge, this would lower the overall happiness of Scrooges. In other words, the Scrooges generosity decreases as they acquire more money. Using our dictionary, this is a system whose temperature drops as it gains energy. Chew on that last thought for a moment. Could you really have an object that gets colder as you give it energy? This really happens, when you have a bunch of particles that attract each other. Stars are held together by gravity, and they behave in just this way. As a star loses energy, its temperature rises. Give a star energy, and you’re actually cooling it down. Black holes also behave in this odd way – the more energy you feed them, the bigger they get, and yet, the colder they get. And if that wasn’t counter-intuitive enough for you, here’s another scenario. Picture a world of people who have attained enlightenment – they actually become happier when they lose money. 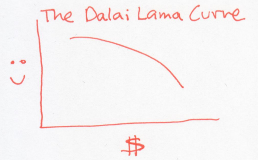 In this example, every dollar that the Dalai Lama receives actually makes him sadder. The natural tendency, then, is to give away all his money to whoever is willing to take it. This odd, inverted curve, is exactly the situation that results in negative temperatures – just relabel happiness to entropy and money to energy (mathematically, the curve has negative slope, so it must have negative temperature). What happens when a negative temperature object meets a positive temperature object? 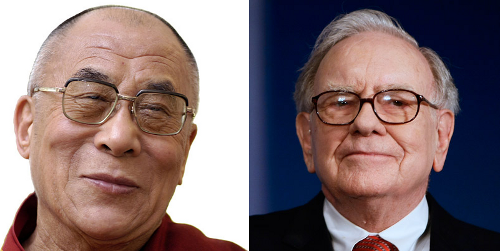 To find out, imagine that the Dalai Lama meets Warren Buffett. Paradoxically, the Dalai Lama will give his money away to the billionaire, because losing money will make the Dalai Lama happier, and gaining money will make Waren Buffett just a teeny bit happier. In this strange exchange, the net happiness goes up. Using our dictionary, energy flows from a negative temperature object to an object that is at any positive temperature! This might sound like something dreamt up by an over-zealous theorist. But there are real materials where the entropy versus energy curve looks like the Dalai Lama’s happiness versus money curve, i.e. where the temperature is negative. To get here, you first need to engineer a system that has an upper limit to its energy. This is a very rare thing – normal, everyday stuff that we interact with has kinetic energy of motion, and there is no upper bound to how much kinetic energy it can have. Systems with an upper bound in energy don’t want to be in that highest energy state. Just as the Dalai Lama is not happy with a lot of money, these systems have low entropy in (i.e. low probability of being in) their high energy state. You have to experimentally ‘trick’ the system into getting here. This was first done in an ingenious experiment by Purcell and Pound in 1951, where they managed to trick the spins of nuclei in a crystal of Lithium Fluoride into entering just such an unlikely high energy state. In that experiment, they maintained a negative temperature for a few minutes. Since then, negative temperatures have been realized in many experiments, and most recently established in a completely different realm, of ultracold atoms of a quantum gas trapped in a laser. From black holes to quantum gases, this analogy shows us that temperature is a lot more subtle than what we measure on a thermometer. Here’s a very charming blog post that explains temperature using Leprechauns and Laser Beams. 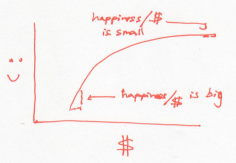 The money and happiness analogy is not my own, but borrowed from the marvelous physics textbook Thermal Physics by Daniel Schroeder. Statistical Mechanics by Pathria and Beale has a nice discussion on how magnetic systems can realize negative temperatures (via Tim Prisk). 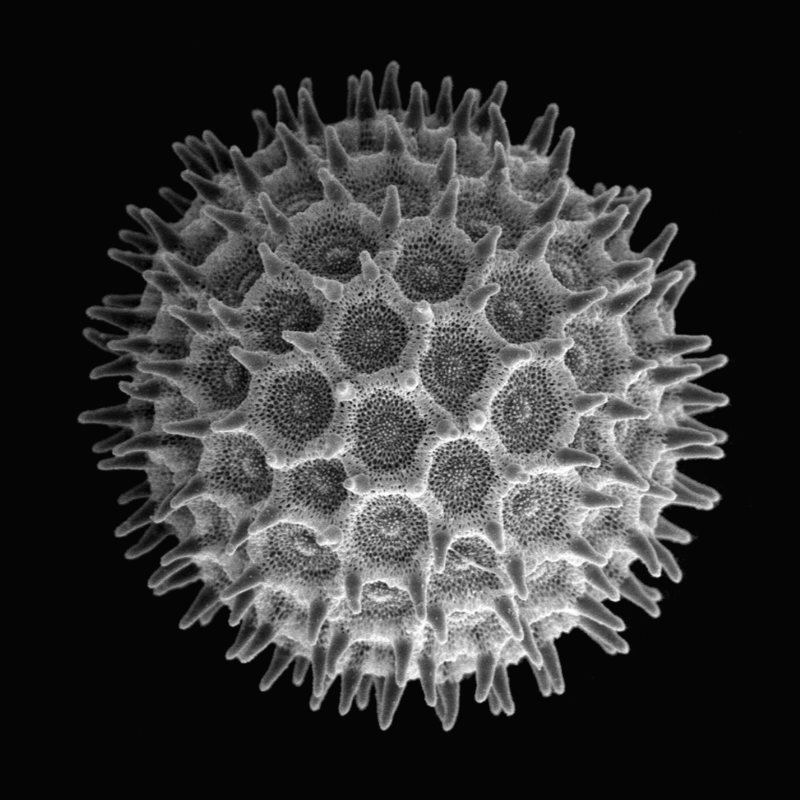 John Baez’s blog on negative temperature and the entropy of stars. Really great post, well explained, clear and I learned something. Thanks for writing it! I’ve got an education in physics. Before that I obviously studied thermodynamics – on a simpler level, but still without metaphores like here. Reading the article I notice that to understand analogy I need to translate back to physical terms – then things come into focus. May be too much knowledge? Would I recommend somebody to get the understanding of this matter with models like here? Hard to say. From one hand, it could be tremendously attractive – for a person, who is new to the area, to get an explanation with supposedly easier terms… From another, it’s a rich model from completely different world, which feels like a great distraction. Doesn’t quite feel like physics. Hmm, what if a person isn’t good with economics either? A teenager? 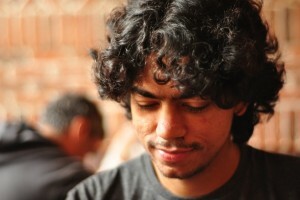 At the end – this looks like a nice article, reminding and entertaining. Could we ask for better? I must agree, I’m not a physicist by any stretch of the imagination but I found this explanation harder to follow personally. A very interesting analogy though. Indeed. I find the analogy totally superflous and distracting. Everything could have been explained just as well without the money analogy. The latter doesn’t ease the understanding of the concept, just makes the explanation twice as large. Well, there’s your problem. No trouble having imaginary temperatures too when you use that definition. If you can’t explain it in five paragraphs, give up. Instead of reading 20 paragraphs about how money and happiness is equivalent to temperature, I could have just read 20 paragraphs about temperature. Useless. Rewrite the article with the real words. The initial analogy made perfect sense. But the rest of the article was distracting. You don’t learn anything when the core subject is described as a completely different subject. Particles that attract each other will pull on a surface instead of pushing on a surface. That’s just negative pressure. Given PV=NkT; at constant unit volume V=1, n is always positive, R is a positive constant, therefore define T to be negative in order to produce negative pressure. That’s it. That’s really all they’ve done. Which was pretty stupid because it’s wrong. What they should have done is reversed the sign on the Boltzmann Constant, which defines Entropy S=kln(omega) and thus would reconcile both my example and the entropy example described in this blog. Of course, even though what I just wrote is unequivocally correct and makes much more sense than “negative temperature”, I don’t have a snowball’s chance in hell of anyone agreeing with me here. The equation PV=NkT only holds for classical ideal gases, and these can never attain negative temperature. You need quantum systems for that. Also, the P in PV=NkT is absolute pressure, not relative pressure. And absolute pressure is never negative. I think you should learn some more physics before assuming that you are correct, and that others are wrong or stupid. No. The overall happiness of the Scrooges aren’t lowered because the poor Scrooge is happier since he now has a dollar he didn’t before. Indeed, poor Scrooge is happier, but rich Scrooge is sadder. 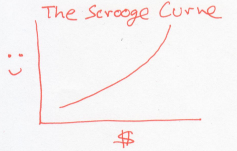 And the sadness imparted unto rich Scrooge was greater than the happiness imparted unto poor Scrooge (see their respective curves), so overall happiness (i.e. the happiness of rich Scrooge plus the happiness of poor Scrooge) goes down. Ah, I didn’t factor in the graph. Thank you for pointing that out. But if rich Scrooge is going to be saddened that much, why give away that dollar? The Scrooges live in a different world than the Buffets or Dalai Lamas as the article states. No, the rich Scrooge is saddened more for giving away a dollar than the poor Scrooge is made happier for receiving the same dollar. Therefore, the overall happiness is lowered. If that’s the case, then why would rich Scrooge give away the dollar? Good point – he wouldn’t! Poor scrooge would give money to rich scrooge instead, as this would raise happiness. The Scrooges are an odd situation where people with less money are more generous, which corresponds to systems that are at higher temperature when they have low energy. I don’t think poor Scrooge would give money to rich Scrooge. The author clearly establishes three separate worlds; the Buffet world, the Scrooge world, and the Dalai Lama world. In the Scrooge world,”Every dollar they earn makes them more happy than the previous dollar did.” Which means they would have no reason to give money to anyone. At all. Ever. Again, consider the curve. If poor scrooge gave a dollar, they would become sadder. But that same dollar would make a richer scrooge more happy than the poor scrooge became sad. The sum total of happiness goes up if money travels from poor to rich in Scrooge world. True, but that rule doesn’t apply to the Scrooge world. If you look at the article, it states the premise of the social utopia and then asks us to imagine that world being solely occupied by Buffets. Then the article tells us to imagine a different world inhabited by Scrooges. The Scrooges have zero motivation for social betterment. By the very nature of Scrooge, they are loathe to give away money even if it would better society. “utopia/max total happiness” rule is just the second law of thermodynamics. The Scrooge moniker only denotes how much happier currency makes Scrooges of differing wealth levels, it doesn’t change that the system of Scrooges still moves towards making everyone “happier”. In each world, by the rules defined by the author, all actors try to maximize happiness of the system. However, you’re reasoning from the perspective of individuals; that is, you’re using a different rule set than the author, so you’re not even talking about the same “game”. By the author’s rules, for example, poor Scrooge giving up a dollar would cause a decrease of (say) 1 unit of happiness. Rich Scrooge then receives that dollar and gains 2 units of happiness. The overall happiness of the system is now 1 unit higher than it was before. So, in order to maximize happiness of the system, that’s exactly what would happen. Perhaps this is an issue of interpretation. As I read the article, the author clearly defines the first world of Buffets as being the one where people try to maximize happiness. The author then states, “Now, instead, consider a world of people who are misers”, meaning the world of Scrooges follow a different set of rules. Since the author didn’t specify that the Scrooge world tries to maximize happiness, we shouldn’t assume that and put words in the author’s mouth. Or as it were, put words on the author’s paper. So if I’m understanding this correctly, this also explains why hot water ‘paradoxically’ freezes faster than cold water? If you touch an object with negative energy, how does it feel? As if it has infinite temperature. It’ll transfer all of its energy to you as if you were colder than it, no matter what your starting temperature was. As a result you’d get hotter. How much hotter, of course, depends on how much energy the originating object had stored to give away. 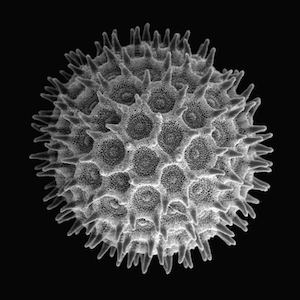 Now, since negative temperature objects are VERY tiny (so far), you’d most probably feel nothing (one or two atoms in your finger would shake slightly faster for a few milliseconds). But if a big one existed, and had enough energy stored in it, it could presumably burn anything it touched thoroughly, and then its ashes, and then melted ashes, and then the resulting plasma, and keep going, no end in sight. Salut Aatish … Another tour de force .. loved learning all this ‘new stuff’ imagine I was still living in the reign of the Old Kingdom of Absolute Temperature and Zero Kelvin as some kind of etched in stone limit. As I am reading this beautiful book “A Mathematician’s Lament” I am just seeing the tip of a wonderful iceberg … and that in the perfect non-physical world of Math you can think up any magical beast .. and someday actually will it into existence via some conduit / kink in real space. You have a twisted understanding of What money is. You view It as a bad thing. Money is a store of value. There are many people on this planet who have achieved great wealth and are ” enlightened” as You say. What these people realize is that You can never escape the human condition no matter How much spiritual awareness You gain so why Not make the most of It and earn money by providing something of value to the world and being rewarded for It. That’s honest capitalism. Your example of Warren buffet is misleading. He is someone who was born into money, handed the silver spoon, and makes his Billon’s by being in bed with the government. You seem very smart with Your physics but I perhaps learning a little economics would help too. No such view here at all. People are just categorized based on the shape of their happiness vs wealth graph. The rich and the poor in all three categories are considered. It seems more like you have a twisted understanding of money and “honest capitalism”. Looking through this warped lens you see views which are not expressed by the author. I don’t think money is viewed as a bad thing here either, greed on the other hand, is opposed to “enlightenment”, and i can relate to that. The start of cold fusion. In the “money” world you describe, there is no “income redistribution”, there is only “income distribution”. Income distribution is the ongoing movement of money by voluntary means, people seeking to make themselves happier. Income redistribution occurs when some group m (possibly the scrooges but likely any of the players other than the dalilamas who don’t believe the rich-buffets curve is sufficiently downsloping at the right side) forcibly take money from group a and give it to group b (possibly overlapping sets) in order to raise their own happiness or sense of justice, regardless of the individual players sense of happiness or sense of justice. Nice analogy indeed. However could you explain “there is no upper bound to how much kinetic energy it can have”. If kinetic energy is proportional to mass and to the square of speed, and speed is limited by c, then there is indeed an upper bound to kinetic energy ? Am I missing something ? That only applies when v is significantly less than c. You need to account for relativity when dealing with velocities that are significant factors of c.
Edit: E_k goes to infinity as v goes to c.
Right, in relativity, the equation for kinetic energy becomes modified to E = m c^2 / sqrt(1-(v/c)^2) which becomes the famous m c^2 when v = 0, and blows up as v approaches c. This is why you can never get a massive object to light speed – it would take an infinite amount of energy to get there. The speed is bounded, but the energy isn’t! Note that Buffett himself is a sort of Dalai Lama because he too gave away most of his money to Gates Foundation. and the Gates Foundation itself is a sort of Dalai Lama because it is giving money away to poor people so they can cure themselves of diseases and live a better life. Which means: There is a Dalai Lama within all of us. We just need to fund him/her. The Gates foundation remains FIRMLY in CONTROL. For the ultra-rich, the concept of “money” is not “having it” (as in the stupid, stupid, STUPID, Dagobert Duck cartoons where children are indoctrinated with this stupid concept of money as something static), but CONTROLLING THE FLOW of as much money as possible.Money is a river, not a lake. And controlling the river – the Gates foundation!!! Who’s fields get irrigated is decided by Mr. Gates. Oh sure, DO believe he’s such a gooooood guy, if you like (I’m not saying he’s “bad”, to me that’s a meaningless concept too). I’m just not so sure that giving control of our rivers (of money) to a very, VERY select few ultra-rich is such a good idea, simply because in this complex world errors made by the few are going to have much greater consequences than many small errors made by the many. And Buffet… well, I like him as a person (who doesn’t), but when I look at what companies he’s invested in…. I’m not so sure that it’s for the “benefit of mankind”. Especially some large food corporations we could better have done without, possibly. Thanks for the clear explanation… I would like you to add the fourth curve (only remaining possibility) in my pseudo name. I love it when I give away money, but 🙂 decreases as I give away more. Coincidentally, I am also a Buddhist(Jain). Very good explanation. Thank you! lacks a bit of scientific reasoning but still the analogy is extra-ordinary. amazing!! lacks a bit of scientific reasoning but still analogy is extra-ordinary. Indeed the formula in the article determines a reciprocal of T thus it projects a different principle. Jesus of Nazareth, the Christ of the soul’s life to many, some two millennia ago COMMANDED that the riches were given away in order that men achieve inner happiness along with salvation, thus to be “cool.” Dalai Lama – Hmm!? So if the temperature is no longer proportional to the kinectic energy of particles, it implies that we CAN reach absolute zero, seeing as it won’t break Heisenberg’s uncertainty principle. Cool, can I get some feedback?